Groove Distribution :: Stock :: Singles :: Re-Edits :: Beaten Space Probe/EDITS #2 12"
Home : Stock : Singles : Re-Edits : Beaten Space Probe/EDITS #2 12"
Beaten Space Probe/EDITS #2 12"
Groove Dis Exclusive. 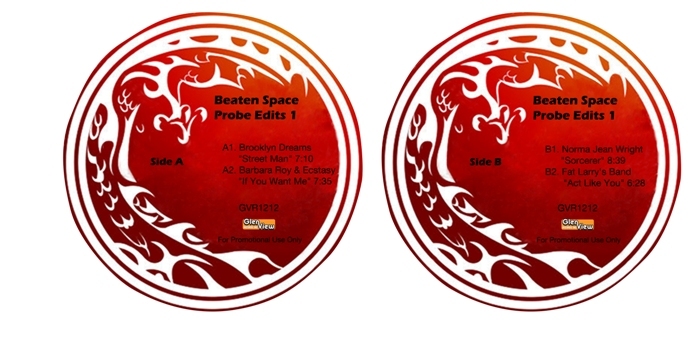 4 deep, funky and soulful R&B edits from BEATEN SPACE PROBE: "YOU ARE MY MELODY" by CHANGE, C BRAND's "WIRED FOR GAMES", JOHNNY BRISTOL's great "DO IT TO MY MIND" and last (but not least) PATTI LABELLE's "MUSIC IS MY WAY OF LIFE" an awesome, epic dancefloor groover. Heavily reworked and extended. Beaten Space Probe/EDITS #1 12" Beaten Space Probe/EDITS #3 12"
Dance Craze/ORIGINAL SOUNDTRACK LP Distal/RETROGRADE SPACE OPERA LP Reno Ka/WHERE IS THE LOVE 12"